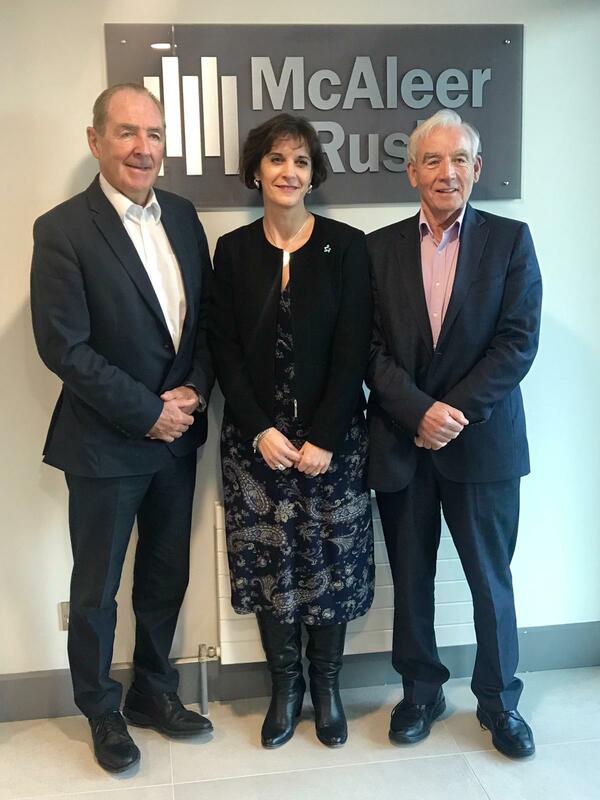 We are delighted to announce that one of the leading construction and property development companies in the UK, McAleer & Rushe, has made a significant donation to further support bowel cancer research. Based in Cookstown, with offices in London, Dublin and Belfast, the company employs over 350 people throughout the UK and Ireland and celebrated 50 years in business in 2017. This gift will help fund our bowel cancer research grants programme, which focuses on three key themes: improving bowel cancer screening; the identification and surveillance of high risk groups; and understanding bowel cancer in the under 50’s. Deborah Alsina MBE, Chief Executive at Bowel Cancer UK, said: “More than 42,000 people are diagnosed with bowel cancer each year in the UK and tragically over 16,000 people die every year. We are determined to change that but we can’t do it alone, which is why we are incredibly grateful to McAleer & Rushe for this wonderful support.